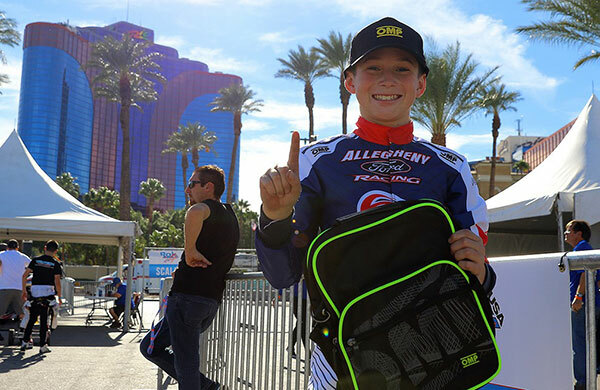 Anything karting from anywhere. Send in your news! NEW TRACK? 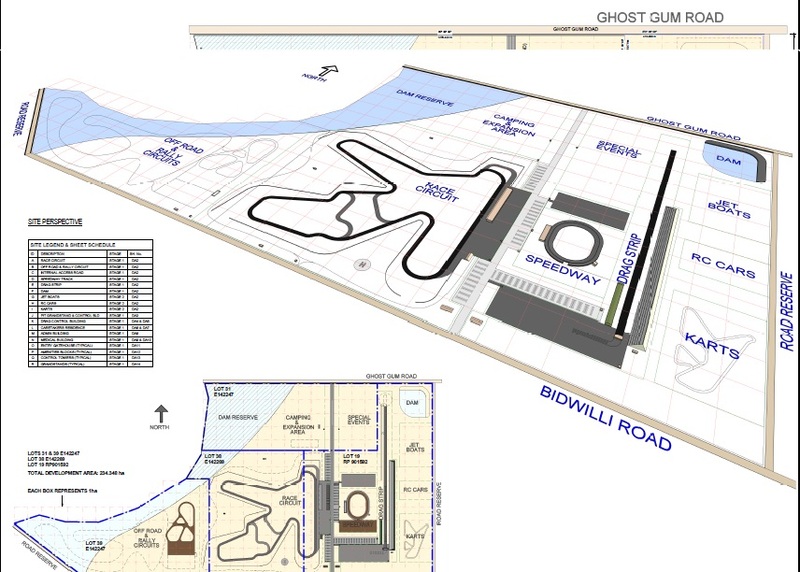 Plans for a new permanent race track in North Queensland have taken a step closer to reality with Townsville City Council approving the first two stages of the DriveIT NQ facility. 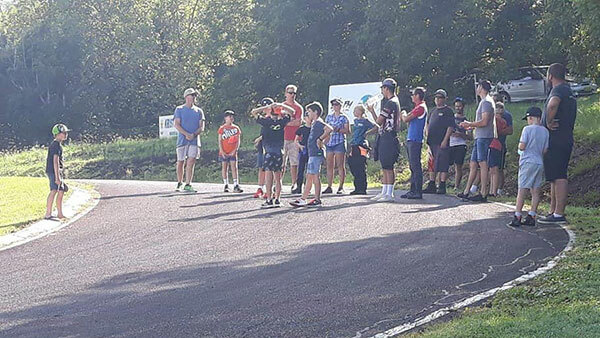 Located at Calcium, 40km from Townsville, DriveIT NQ (a not-for-profit association) will include a proper race kart track. 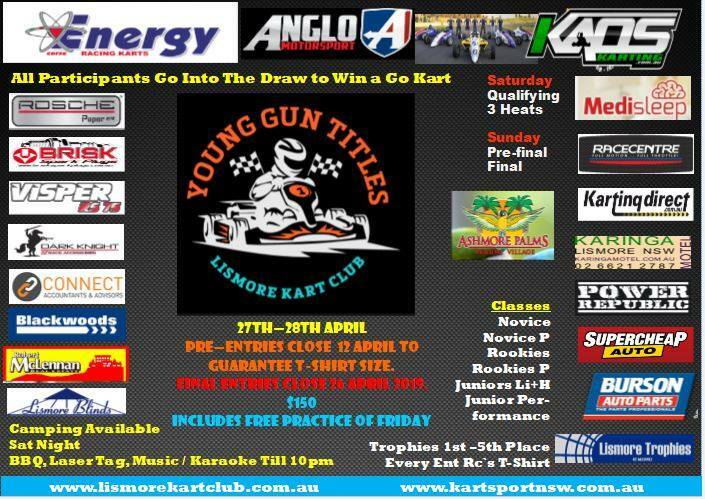 SHIRT HOT – Lismore’s annual Young Gun Titles is coming up next month. Pre-enter by April 12 to ensure you get your special event t-shirt! 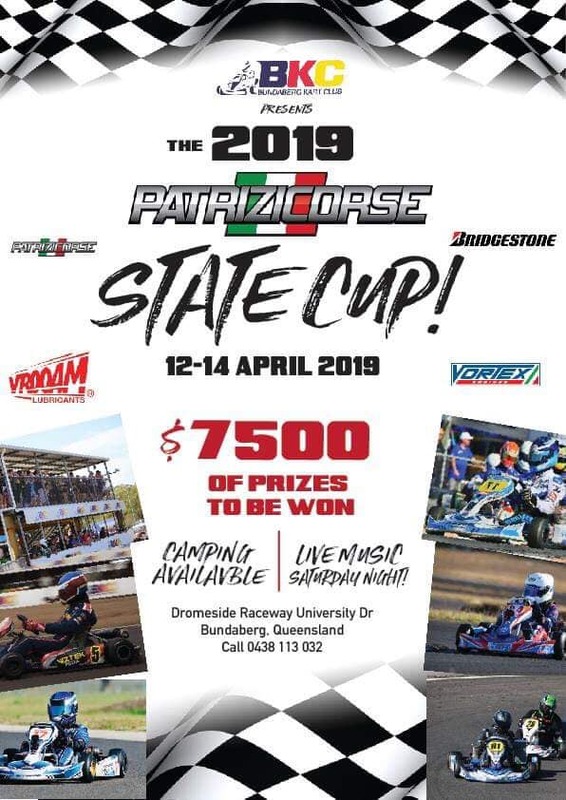 QLD STATE CUP – Nominations now open. Who’s going to Bundy? OTK TRADE – Looking to upgrade your OTK chassis, but sick of messing around with phone calls and tyre kickers? 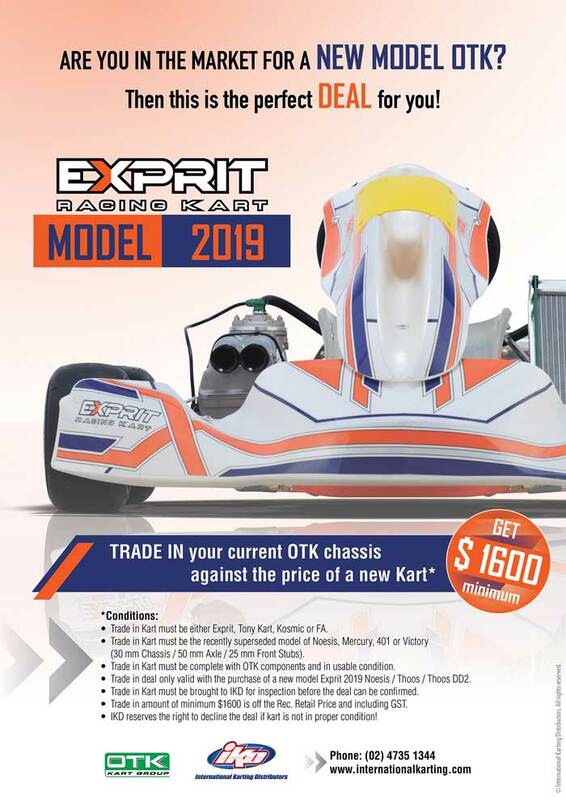 Trade in your old kart on a new 2019 model Exprit chassis. Conditions apply. 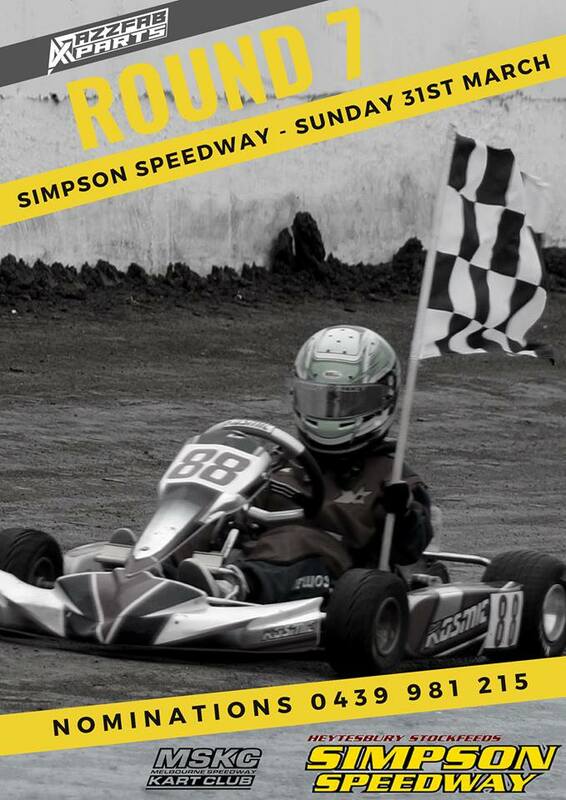 AZZFAB FEATURE – Melbourne Speedway Kart Club is back at Simpson Speedway for round 7 of the series – and as this is written, it’s still green for a Sunday start! Junior Standards will compete in the AZZFAB feature race, which comes with the honour of receiving beautifully hand-crafted trophies built by Aaron Cook. 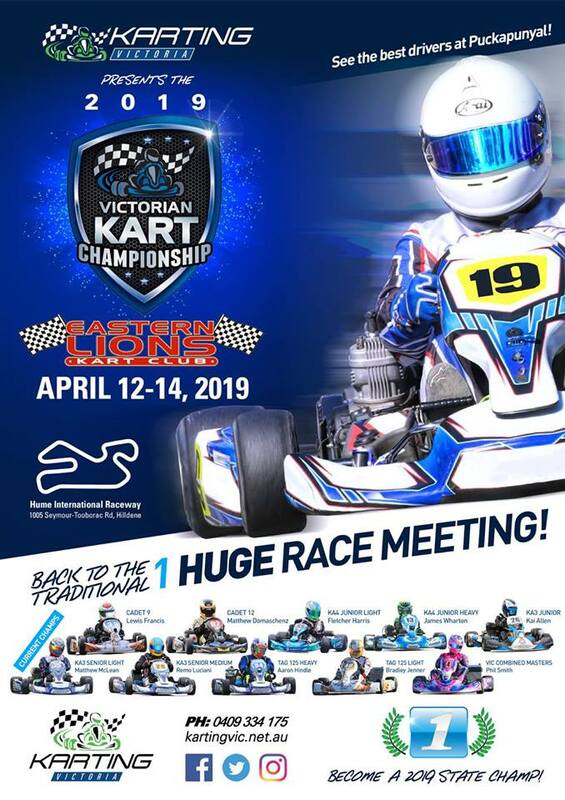 DPE LOADED – It’s a big deal supplying tyres for championship events. DPE Kart Technology produced this time-lapse clip of loading the truck full of MG product for the Newcastle round of AKC. 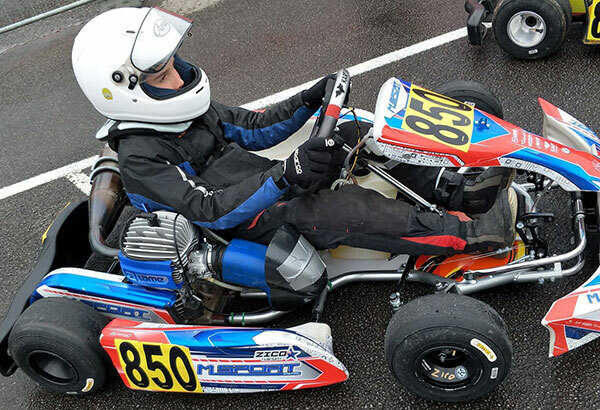 AUSSIE O/S – That’s an Australian flag inside the name-tag star on Zico Hopkins-Collis’ Mini kart. Zico was born on the Sunshine Coast but now lives in Great Britain. He was competing in the IAME Benelux Series round at Mariembourg (Belgium) on March 17 with the English M-Sport team. Zico finished 14th in the Final. 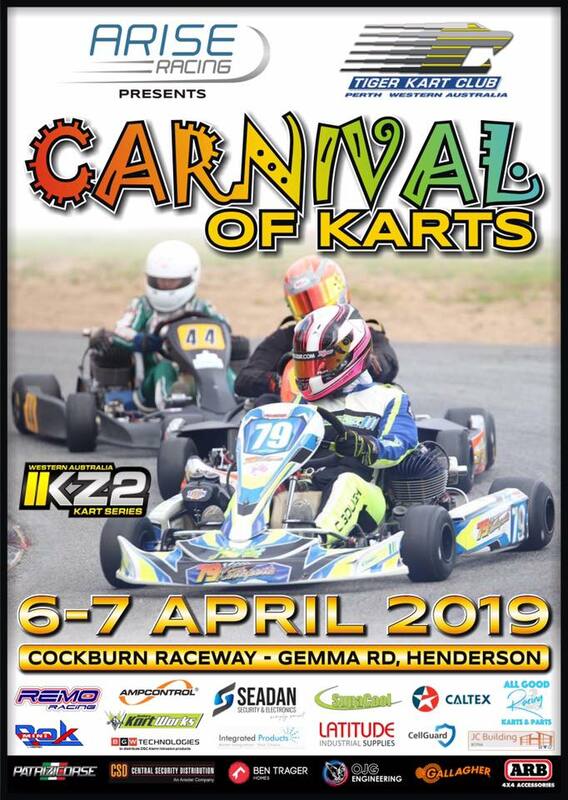 CART KARNIVAL – If you want your name & sponsors included in the official program for the annual Carnival of Karts, you’d better get your entries in before the end of THIS WEEKEND! 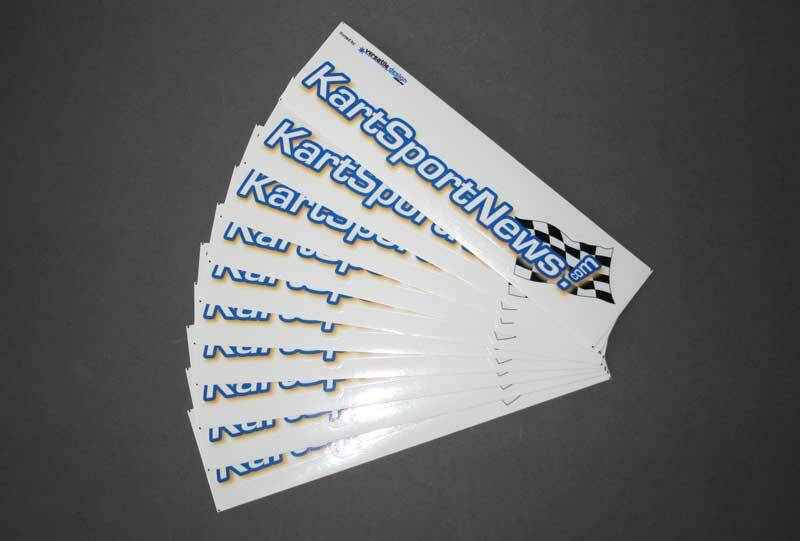 STICKERS – KartSportNews stickers, available in packs of 10, contour cut and coated. Get them HERE.